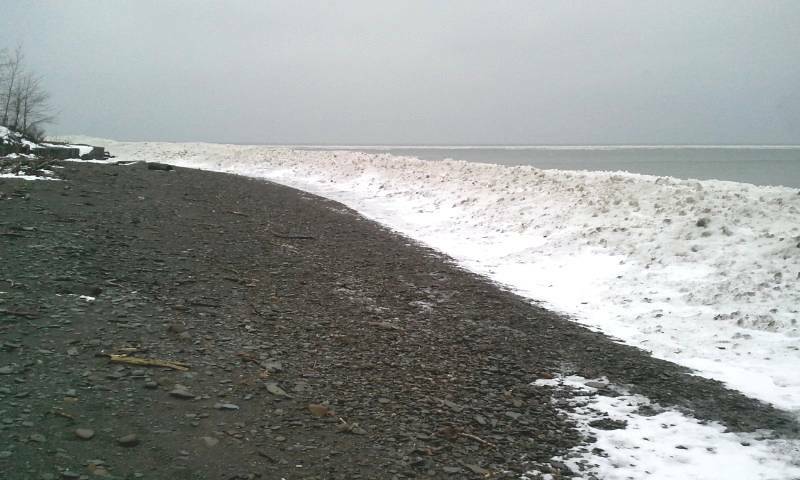 January Melt Down Produces Beaches Open for Beachcombing! ﻿Yesterday, Monday January 28th, 2013 produced rain and a warming trend that I suspected was melting the snow dunes down at the local beaches almost as fast as an ice cream cone under a heat lamp! So, at about 4:30 pm I decided to venture out to one of our public beaches that was close to my home. This is what Manchester Beach looked like at that time! I must admit that I was PLEASANTLY surprised to see that a nice wide patch of pebbles had been exposed and I saw NO signs of footprints. Could it really be that I was the first one to realize the effect of the melt down? Probably not, but I would like to have thought so. I DID find glass here! I couldn't believe it! 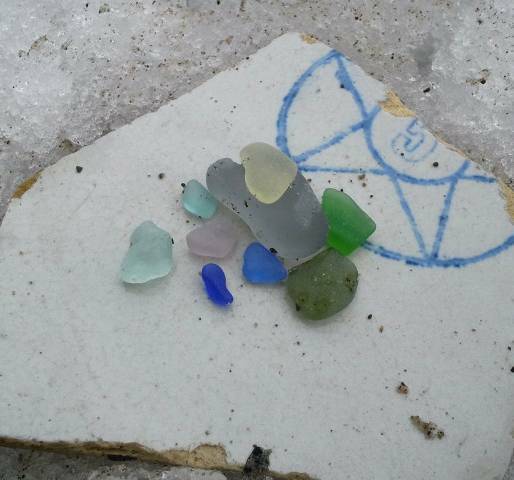 What a rare thing to find beach glass in late January and all while listening to thunder roll in the background. Needless to say, I didn't find anyting too exciting at this beach but that gratification of finding any glass at all was satisfying. 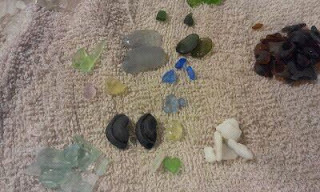 Here are my finds from passenger seat of my van as I left for home to share my treasures. My husband reminded me that Tuesday was going to be even warmer. "Are you kidding me?!" I said out loud but actually meant to keep that inside of my head. I announced that we were going beachcombing that very next day. And so we did! East Side Erie, Here we come! 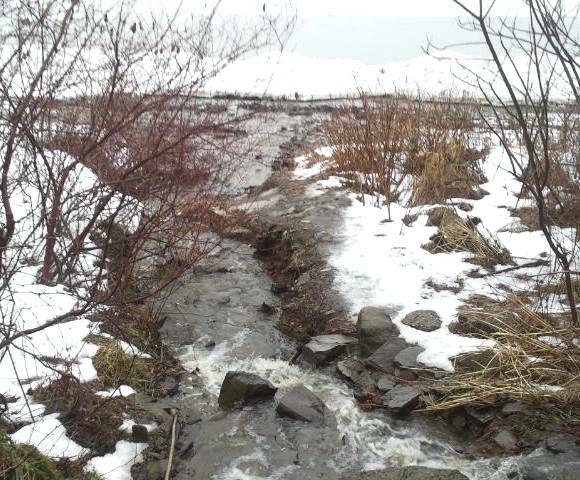 This beach was melting fast and it so happens that there is a run off that you MUST be careful beachcombing around. However, our efforts did not go for want! We BOTH found beautiful pieces that really made the trip worthwhile. Some notable pieces are the UV colors, the dark greens and olives, the gorgeous greys, the lavender, a yellow, several little blues, a flashed piece of opaque white on clear, and SCORE! two light bulb insulator pieces! So, maybe 2013 will be the year for finding awesome pieces of beach glass! Here we are at the beginning of a new year full of new resolutions, new ambitions, and new ideas. So whats in store for Lake Erie Beach Glass? Hopefully, it will be a year full of fabulous finds and fresh ideas. My daughters are getting older and are wanting to be a bigger part of the creating and not just beachcombing. We shall see what their individual styles can bring to the table. I have full confidence in them all. As for me, I wanted to start the year off doing something nice for my fellow kitty friends. So I have decided to help out a local non kill animal shelter that helps cats and kittens find homes. I will be donating 20% of my profits from Lake Erie Beach Glass for the months of January and February to Orphan Angels http://orphanangels.weebly.com/ . Please visit their site and consider making your own donation as well? Check them out on Facebook here http://www.facebook.com/Orphanangels and give them a "Like!" My daughter Hanna is also volunteering her time to help clean litter boxes and socialize the kitties. There is something to be said about giving and helping. It certainly is rewarding. Feel free to give me suggestions for a charity in the month of March! 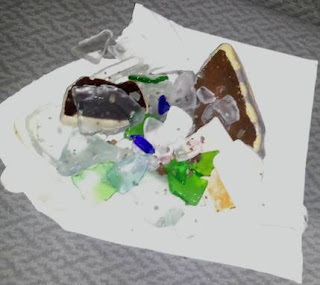 Sea Glass, Beach Glass hearts are such special pieces to find. Often, collectors and artists will hold on to these treasures to add to their personal collection. 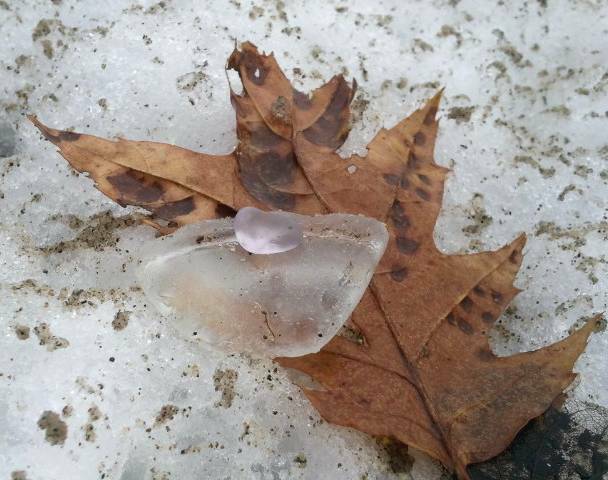 Every once in a while you can find sea glass hearts offered for sale by the individual piece or by purchasing a beautiful piece of jewelry that was created from it. I happen to be commissioned to create a beautiful pendant out of a Cobalt Blue beach glass heart that was found by one of LEbg's own from Lake Erie. The following pictures will show you the progression, or steps it took to create the pendant from beginning to end. 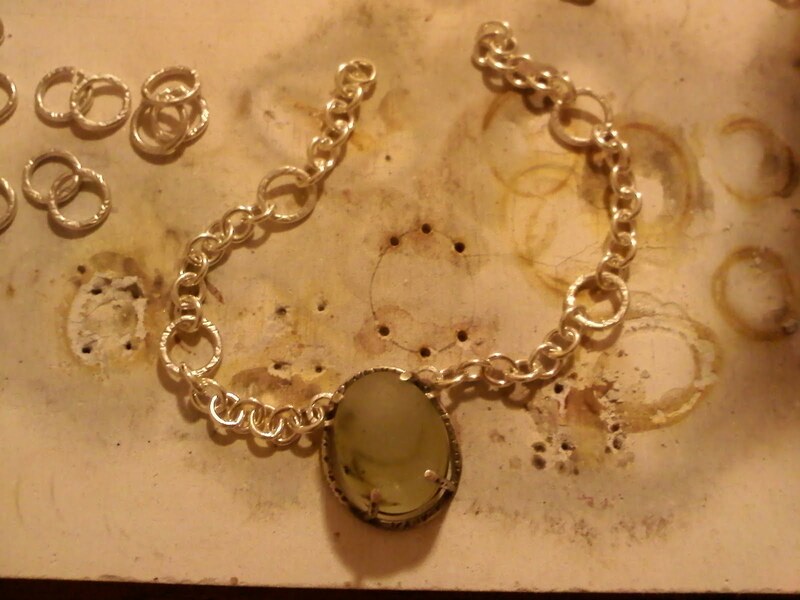 This is what sterling silver looks like with fire scale on it. 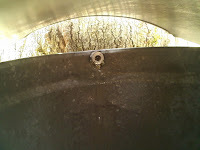 It is ready to be "pickled" in a solution that will remove the fire scale. This particulat pendant was created with a certificate of authenticity that I collaborated on with Justin Lazarz, an invaluable asset to LEbg. He is a dedicated graphic design artist who has excellant ideas but is open to indivuality as well. Check out his site by clicking on the certificate below. Thank you Justin! I think many of us agree that being fit, losing weight, or being healthy in general is always on the back of our minds. For some, its in the front and nagging at us continually. Dieting and paying attention to the nutritional values of foods can be difficult, exhausting, and down right confusing. I struggled with losing weight and being healthy for years. 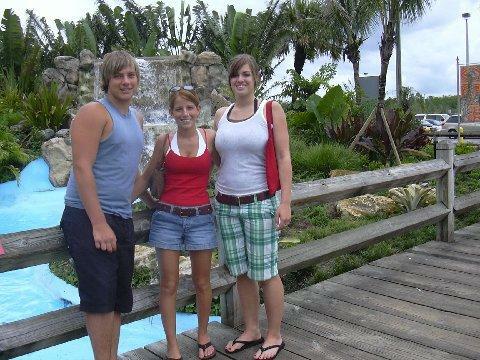 I went from 115 pounds out of high shool and into my Freshman college years gaining at least 20 pounds. I started a family and gave birth to 4 lovely children. Recovering my weight and health had been difficult to say the least. 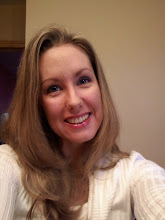 I also developed GERD-Gastroesophageal reflux disease and at age 35 I weighed in at 155#. I decided to join a gym. Joining the gym alone did not give me much help. I began going regularly for about 2 weeks and then became infrequent to not going at all. I just couldn't do it by myself. So why do it by yourself?! I asked for help. Becoming fit and healthy isn't a diet plan and it isn't an exercise plan. It is a lifestyle change. That is the first thing I learned. Secondly, having support is crucial to acheiving results. I'm talking about CONTINUED support. Someone who believes in you and what you can accomplish. Someone who has had similar experience and knowledge to help you acheive goals and someone who has enough grit and "stick to itness" to push you along or make changes as necessary. Josh Szymanowski has been that person for me. 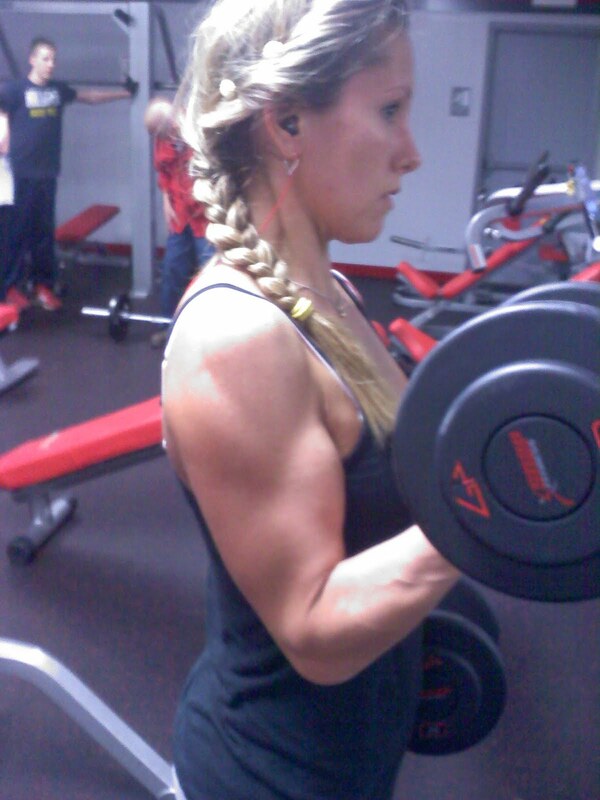 I know weigh about 125# with lean muscle. I feel energetic and happy and I no longer have GERD! 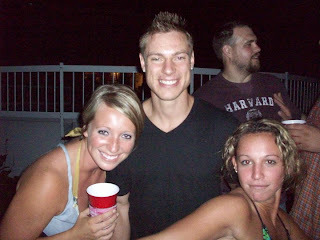 Josh helped me devise a plan of fitness along with teaching me appropriate nutrition. 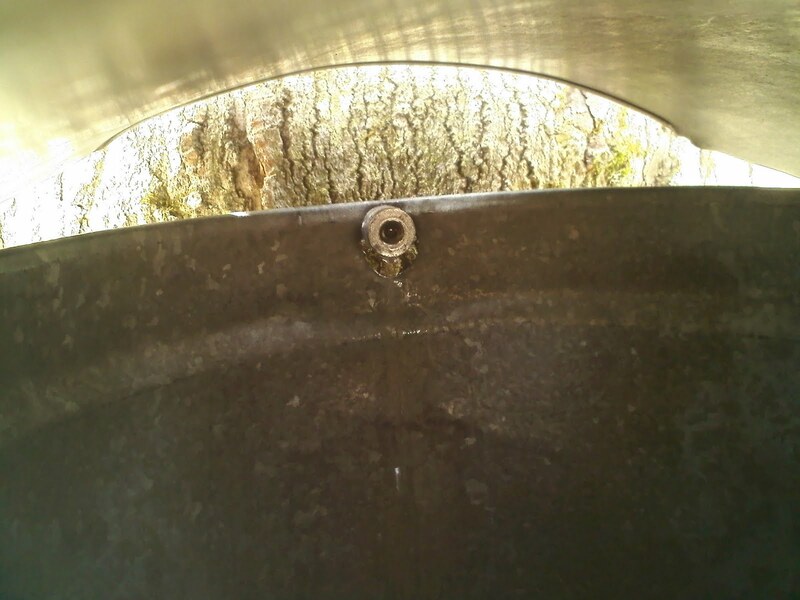 He has continued to recheck my plans, offer advise, and help me make necessary adjustments. I am very greatful for his professional help and I reccomend him very highly. He is compassionate about health and fitness and has the drive and experience to help anyone achieve their appropriate fitness goals. So, a little bit more about Josh? "My name is Josh Szymanowski and I recently graduated from the Indiana University of Pennsylvanis with a bachelors' degree in Exercise Science. I am certified under the American College of Sports Medicine as a Health Fitness Specialist. I graduated from Girard High School where I played basketball and football. I was always active through sports so exercise and diet were not high on my priority list. Two years into my college career I had gained 55lbs and was completely out of shape. I knew I needed to make some changes in my life. I changed my major to Exercise Science and absorbed as much information as I could. The knowledge I gained of the body, nutrition, cardiovascular training, and resistance training combined to give me all the tools I needed to achievea healthier lifestyle and a healthier me. In about 14 months I lost 50lbs and 20% body fat while increasing lean muscle mass. I wish to share this knowledge with anyone willing to put the work in and help others achieve what I did. If you have motivation and an open mind...the sky is the limit." I asked Josh what his goal was for the future. I have to admit for selfish reasons that I never want to lose my trainer...lol! His response was this, "My future goals are simple. Build my Advocare business to a level of income that frees up more time and allows me to be debt free and live life on my terms. This will allow me to put more time and effort into clients that really matter. 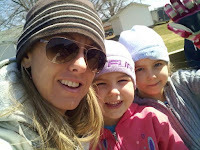 The ones that are committed to their health and that need my help. I love what i do but working with people that are not committed is exhausting and takes away from those that are. I enoy more than anything the happiness and excitement people receive when they accomplish something they didnt think they could. Something that took blood sweat and tears to achieve. That is the most rewarding feeling I have ever felt. To be a part of changing someones life for the better is special and I never take it for granted. If you are interested in having Josh help you with your fitness and nutritional needs you can contact him through Snap Fitness in Fairview or through his web site here....ADECIDEDHEART.COM. Thank you, Josh for everything you've helped me to achieve and to continue to maintain. 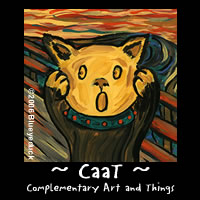 Adopt an Artist 18th Annual Art and More Auction! LEbg is proud to be a continueing contributor to the Adopt an Artist Art and More Charity Auction for Fairview Middle School. This year's event will be held Friday, April 1st, 2011 at The Lake Shore Country Club. Admission is Free with doors opening at 6:30pm to preview auction items and art. There is a cash bar with light appetizers, and a silent auction. 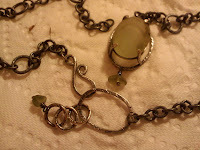 The live auction will open with a live performance of speed painting to music at 7:00 p.m.
Lake Erie Beach Glass is donating a unique, handmade, genuine beach glass necklace and earrings set made by owner Jodie Pastor. This set features a beautiful and OLD piece of beach glass that has embedded seaweed and air bubbles. 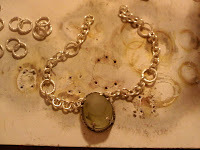 It has been mounted in a sterling silver prong set with matching handmade, textured, and antiqued links. Come and support your local artists and the Fairview School District's Arts program, while enjoying an evening of artistic sights and sounds! March 19th and 20th 2011 brought about that Spring feeling with our local Maple Syrup tours. 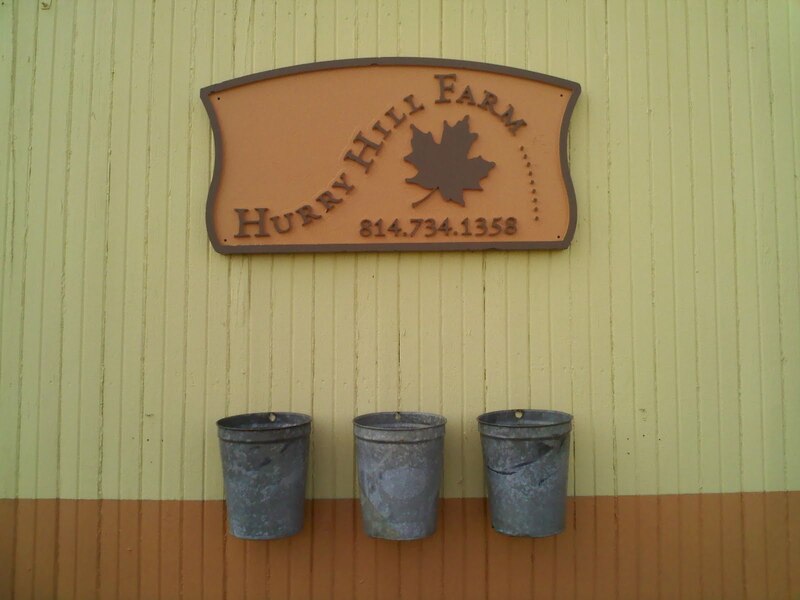 By far, our favorite sap farm to visit and tour is Hurry Hill Maple Farm in Edinboro, Pa. This beautiful farm, located at 11380 Fry Road, as ran by Janet Woods who has taken the task to continue her family's production of yummy maple syrup products. 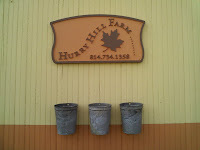 Why is THIS farm our family favorite? Its because of Janet. Janet is a retired school principal and her social personality and knowledge is remarkable. 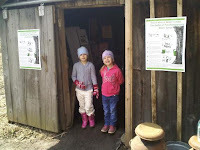 Children and adults alike are attracted to her positive energy and the welcome feeling that shines through the entire farm and its volunteers. Janet provides a spacious and free roaming adventure upon arrival. 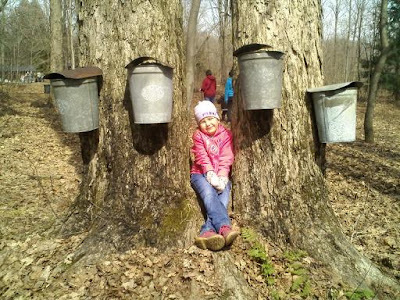 Tractor hayrides and sometimes horses too, will take you back on a trail through the tall tapped Maple trees and leads right up to the sugar shack. 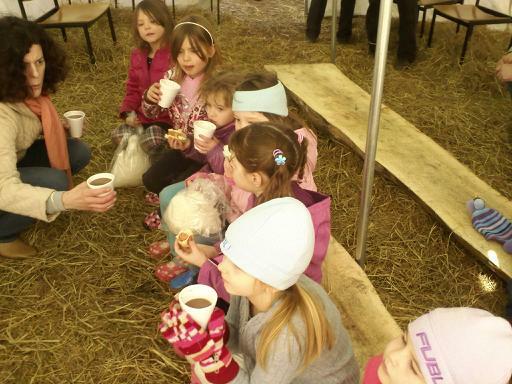 There is a welcome tent for visitors with FREE hot maple chocolate to drink and other maple product samplings. Delicious Smith hot dogs are always available for sale and there is a tent for the little ones where they can sit and listen to stories be told. 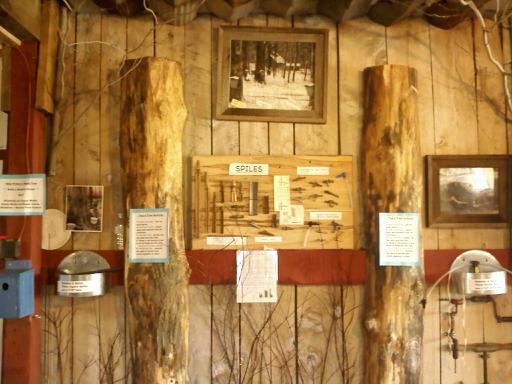 The sugar shack is an educational site where Janet gives a historical and informational talk about the Native Americans, the colonists, the history of the farm, and demonstrates how the syrup is made right there in front of an anticipating crowd. Little ones are drawn in and always full of questions. 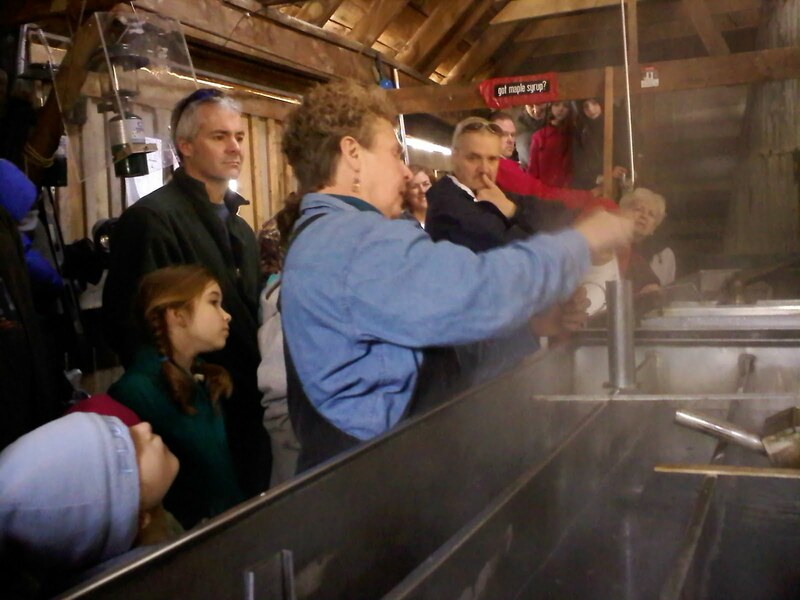 Janet engages them by involving them with hands on demonstrating and tasting, or course. The boys scouts also have a demonstration on the premises utilizing a large black kettle and cooks the sap in similar fashion to what the Native Americans and colonists would have. 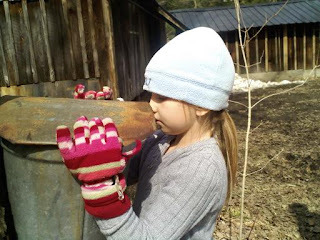 Upon conclusion at the sugar shack, one can take another hay ride back to the main house and museum or walk the beautiful path lined with blue bird houses. 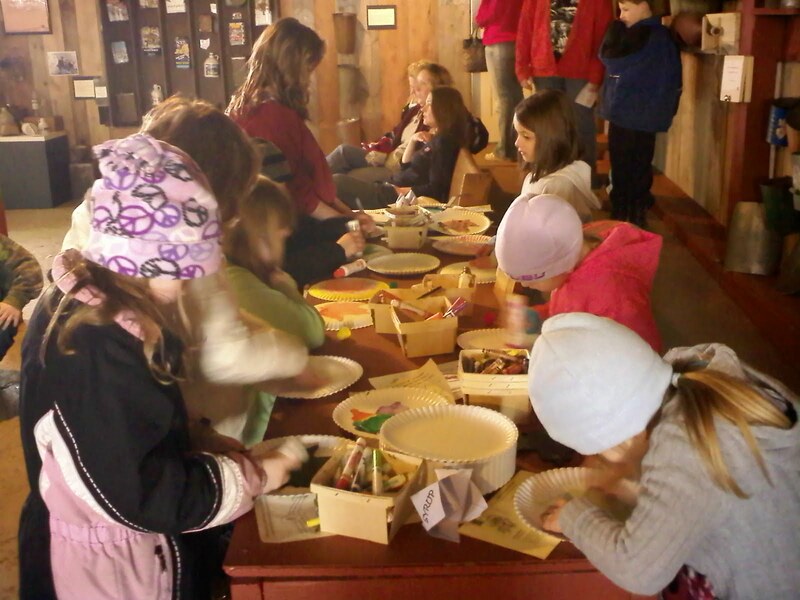 The museum is set up to be hands on and kid friendly with several stations of games and art projects. 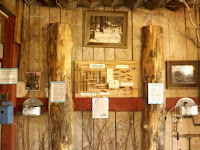 Maple products are offered for sale here as well. 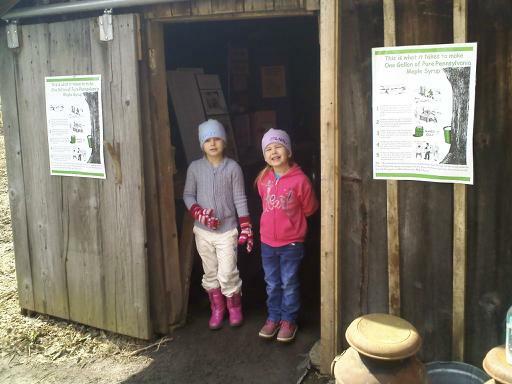 Janet is open on Sundays until December where you can visit the museum from 2-5 and even get your own personal tour. It is a really nice family oriented day for something fun to do! 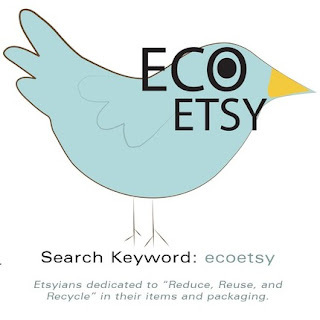 Earth Day Eco Etsy Auction Soon To Be Here! Spring is arriving! I can feel it! 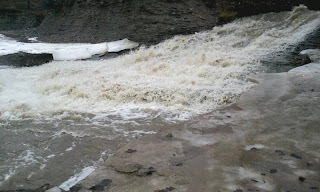 February has come and gone and March certainly has made its lion like appearance here in Erie Pa. With Spring the new beginings of nature begin to poke their little heads up from the slumbering earth. And with the awakening of the earth comes the time for EARTH DAY! What IS Earth Day anyway? Earth Day is a day to promote awareness, to show appreciation, and to spark an action of good for the Earth's environment. It will be held on 22 April, 2011 this year. With the upcoming event this year Eco Etsy, a team of crafters and artisans with a focus on using recycled and/or upcycled materials in their projects will hold their 2nd Annual Handmade Earth Day Auction begining the first week of April. As a team, Eco Etsy will be participating by donating the proceeds of out auction to an earth conscious non-profit organization. 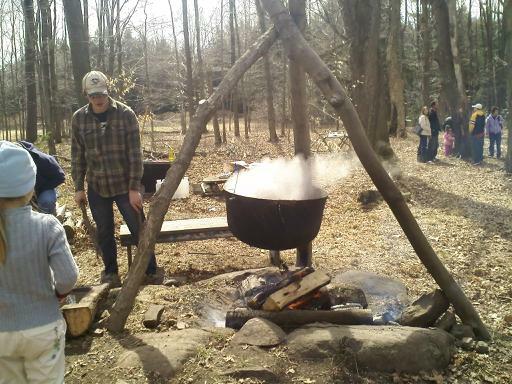 The voting for this organization is occuring this week and the results will be posted on the Eco Etsy blog site soon! Lake Erie Beach Glass is proud to be offering items for auctions being held April 11th and April 18th. Please check out Eco Etsy's blog for additional information and other eco minded tips, ideas, and items for sale.